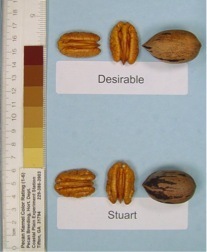 Well known in Georgia, and this cultivar was instrumental in forming the Georgia pecan industry. Produces a large nut that matures early in the season. Mature trees can be very productive and are often a profitable core of the orchard.